Square Enix has shared the official trailer for Final Fantasy XIV‘s patch 3.3, Revenge of the Horde. To get a look at all the new content headed to the game in the upcoming patch, you can check out the trailer below. The video starts out with a preview of the main scenario followed by a look at the next addition to the Void Ark 24-person raid series, The Weeping City of Mhach. Next we get a glimpse of the new beast tribe quests featuring some mischievous Moogles as well as a preview of what to expect from Hullbreaker Isle (Hard), one of the two new dungeons making its debut this patch. The Aquapolis, a new type of treasure-hunting dungeon, is also featured, followed up by a look at the new flower pots housing system, new hairstyles, new gear, and the new PvP mode headed to the game. After that, we get a preview of The Palace of the Dead, a “Deep Dungeon” scheduled to release in patch 3.35. 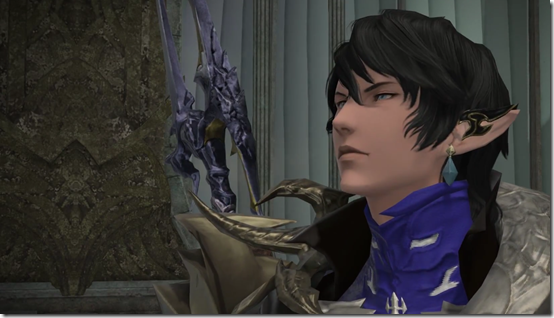 The trailer ends with a preview of the second new dungeon, Sohr Khai, as well as a better look at The Final Steps of Faith trial, in which players will confront Nidhogg for a final time to decide the outcome of the Dragonsong War. Final Fantasy XIV is available for PC, PlayStation 3, and PlayStation 4. Patch 3.3, Revenge of the Horde, will release on Tuesday, June 7th.